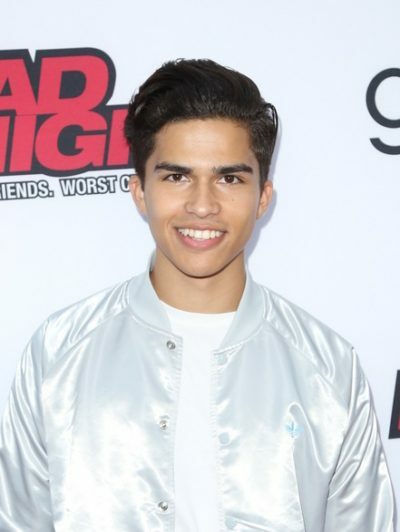 Alex Aiono is an American singer, producer, and YouTuber. Alex’s father, Martin Harris Aiono, is a New Zealand immigrant, and is of half Māori and half Samoan descent. Alex’s mother, Heather Lynne (Lee), is American, from Los Angeles, California, and is of English, German, 1/8th Irish, 3/32 Danish, and smaller amounts of Welsh, Swiss-German, and Scottish, descent. Alex’s patrilineal ancestry can be traced back to his tenth great-grandfather, Soisoinailua’ai Leaupepe. Alex’s paternal grandfather was Ominae Luluali’i Aiono (the son of Luluali’i Aiono and Misimua Ulugaono). Ominae was Samoan, from Fasito’o Uta, Upolu. Alex’s great-grandfather Luluali’i was the son of Muliaina Tua’ifaiva Aiono and La’Amauga Laumea. Misimua was the daughter of Ta’avili Ulugaono and Ana Lutu Molio’o. Alex’s paternal grandmother was Eileen Te Ataakura Te Maari (the daughter of Arapata Tokoarangi Te Maari and Mereana Korau). Eileen was Māori, from Whanganui. Arapata was the son of Tokoarangi Te Maari and Meremionga Hiroti. Mereana was the daughter of Mae Korau and Hinewahirangi Paea. Alex’s paternal grandfather is Jerald Keith “Jerry” Lee (the son of Raymond Amos Lee and Lenore Pauline Baumgardner). Jerald was born in Wyoming. Raymond was the son of James Porter Lee and Pearl Ruby Sperry. Lenore was the daughter of Earl Sebastian Samuel Baumgardner and Elfreida Grimm, whose parents were German. Alex’s maternal grandmother is Barbara Clarene Taylor (the daughter of Seymour Stillman Taylor and Margaret Belle Quinn). Barbara was from an LDS (Mormon) family. Seymour was the son of George Francis Taylor and Barbara Matilda Stillman. Margaret was the daughter of John Alfred Quinn and Clarene Turner. Alex’s matrilineal ancestry can be traced back to his ninth great-grandmother, Barbara, of Rønne, Bornholm, Denmark. His maternal grandmother was from a Mormon family (still think that Mormon tag should be a thing). Elfreida Grimm’s parents were German.